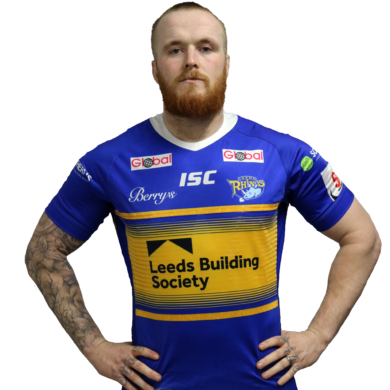 Leeds Rhinos agreed a three-year contract with prop Dom Crosby that will keep the forward at Emerald Headingley until at least the end of the 2021 season. Crosby joined the Rhinos on loan in July 2018 from Betfred Super League rivals Warrington Wolves and made seven appearances as he helped Kevin Sinfield’s side secure their Super League place. He was a two-time Grand Final winner with his home town, Wigan, and spent the last two seasons at Warrington Wolves. He joined the Wigan Academy in 2010 from Hindley and, after a brief dual registration spells with Widnes Vikings and South Wales Scorpions, he made his First Team debut in the Challenge Cup against North Wales Crusaders in 2012. He also played for Leigh under dual registration. He made an impression at Super League level in 2013 and was a member of the Wigan side who appeared in four consecutive Grand Finals from 2013 until 2016. In total he made 102 appearances for Wigan, scoring 7 tries. Signed by Tony Smith at Warrington in 2017, he made seven appearances in his debut year and has followed that up last season with a further ten appearances.